It's no secret that I love Starbucks, especially their seasonal drinks. In winter it's the Gingerbread Latte and Peppermint Mocha (which I'm told they have year-round now). I love the Cool Lime Refresher they offer in summer. Of course, in Fall, it's all about the Pumpkin Spice Latte. It's a little bit sad that Japan doesn't do the Pumpkin Spice Latte. Instead, their Autumn drink is a Roasted Almond Latte, which is really kind of a cop-out when you can get an almond latte year-round. In order to bring a little bit of fall into my life, I decided to create my own pumpkin spice latte, or, as it turns out, coffee creamer. They don't sell those in Japan either - coffee creamers. It's called milk here, and usually comes in the powdered form (if it's meant for coffee). 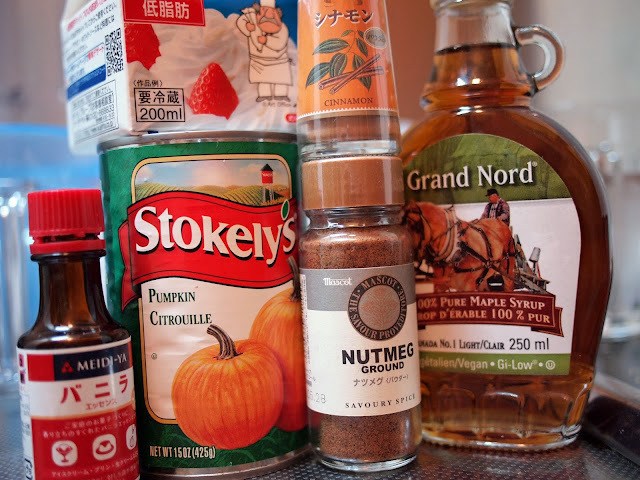 It only took at little bit of wandering around Pinterest to find a Pumpkin Spice creamer recipe (here), and I just adapted it a little bit to suit the ingredients I could get here. The result, Autumn goodness in a mug - yum! *I couldn't find pumpkin pie spice, so I just used about a 1/2 tsp nutmeg, and a little extra cinnamon. In a small saucepan mix together the first 6 ingredients over medium heat until steaming, stirring constantly. Once it's nice and hot, remove from heat and stir in the vanilla extract. Pour mixture through a fine mesh sieve before storing in the fridge. Be sure to shake it a bit before using! 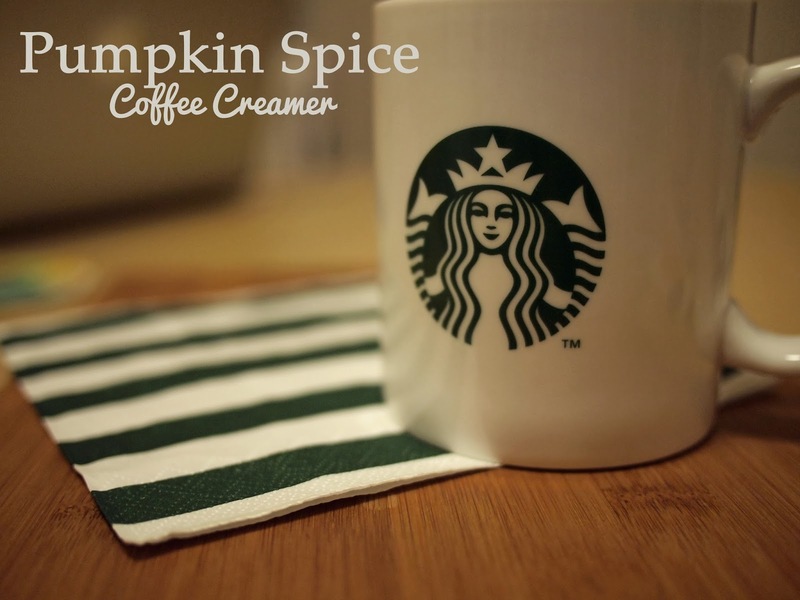 It has been a really long time since I've had a proper Starbucks Pumpkin Spice Latte, but adding this homemade creamer to hot chocolate or my morning coffee is pretty darn good! I think it could give Starbucks a run for its money!! !